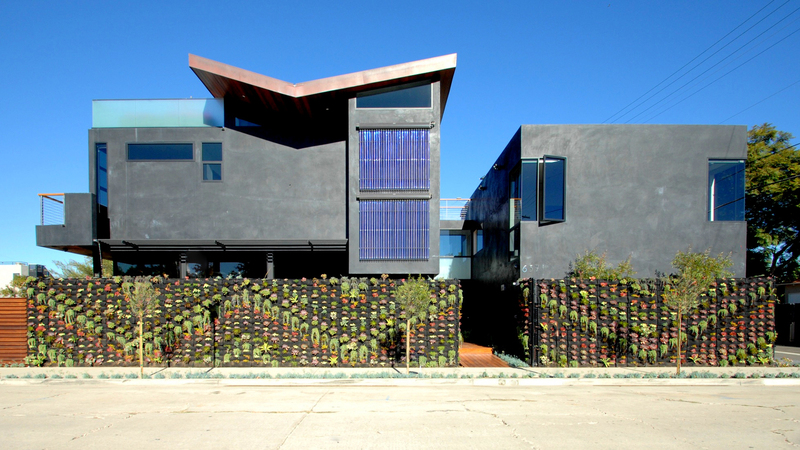 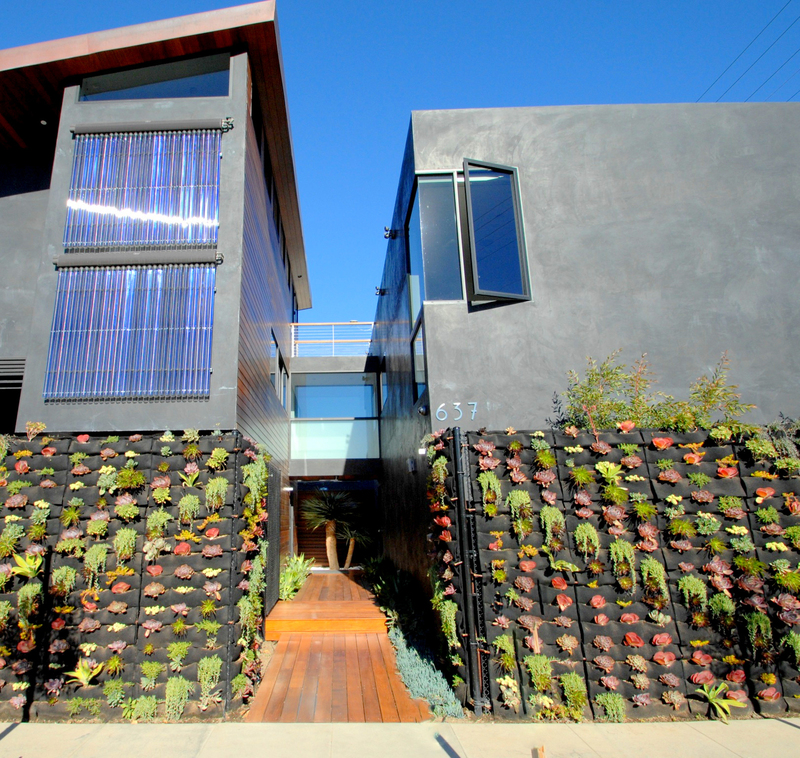 Dany Rojany of Bella Casa in Venice Beach, California created graphic designs that mimic the architecture with living succulents. 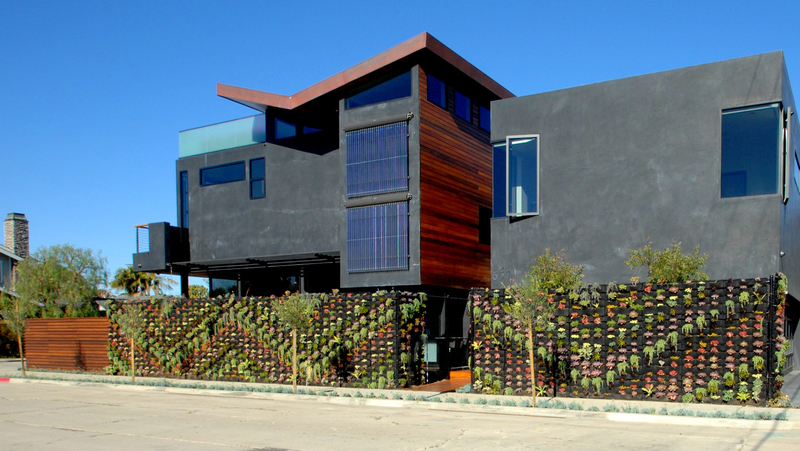 The designs were created using Florafelt planters attached to a chain link support. 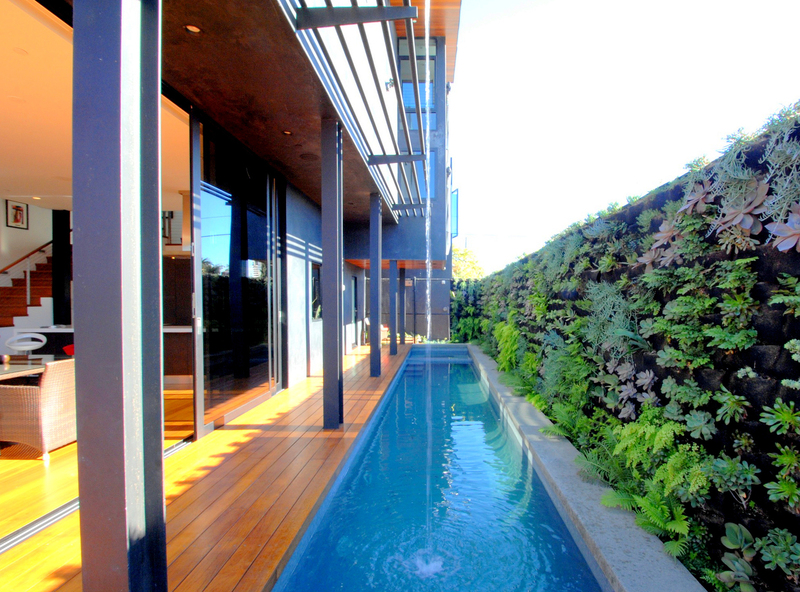 The design was continued on both sides of this living fence above the interior courtyard water feature.